Nearly every personal injury claim will include medical expenses. This will include medical treatment that you have already received, and compensation for any future medical treatments you may require to treat the injury. At Manning & Zimmerman, a Manchester personal injury attorney will carefully review the impact that the injury has had on your income. This will include any current earnings you have lost due to the injury and any potential income you may not earn in the future because of the injury. Known as “loss of earnings capacity,” if your injury will prevent you from excelling in your profession or forces you to take a lesser paying job because you can no longer perform your job duties, you are entitled to receive compensation for the income you have lost. Any personal property, such as vehicles, clothing or other personal items damaged in the event are qualified as part of your losses. In some cases, physical changes to personal property, such as having to add a wheelchair ramp to a home or a chair life to a car because of your injury, may also be included in the property loss category. 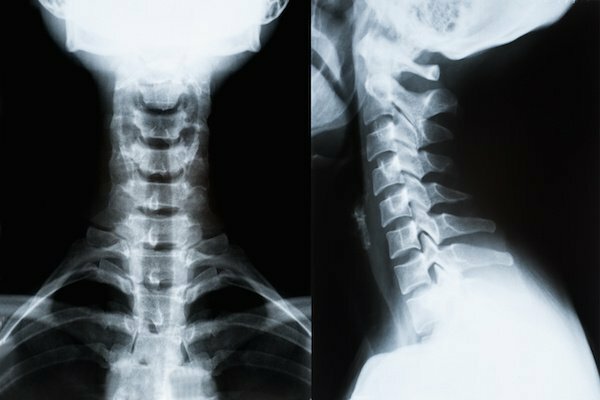 If you have experienced, or continue to experience, great discomfort from the injuries associated with the accident, you may be entitled to receive compensation. Pain and suffering claims are sometimes regulated by state law limits. Your attorney will explain to you if pain and suffering damages apply to your case. Some accidents cause psychological trauma to the injured party. If you are experiencing loss of sleep, anxiety, or other emotional stress, you may be entitled to additional compensation. At Manning & Zimmerman, a Manchester personal injury attorney will advise you if you are entitled to this compensation or if it must be included with pain and suffering. If your injuries are preventing you from enjoying your daily activities, hobbies, or recreational activities, you may be entitled to receive compensation for loss of enjoyment of life. Loss of consortium refers to a married couple. If your injuries prevent you from interacting intimately with your spouse, you may be entitled to loss of consortium compensation. In some cases, if the actions of the person who caused the accident were exceptionally or knowingly negligent, the injured party may be awarded additional damages. 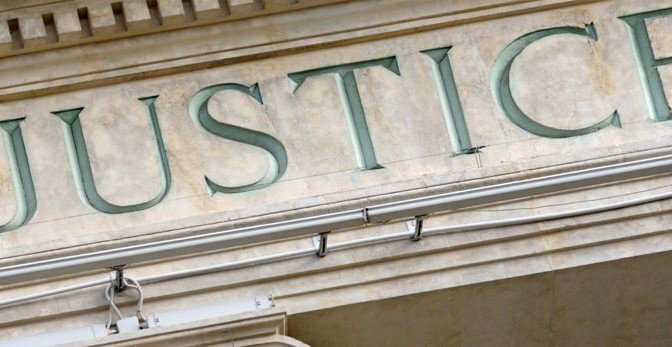 These damages are not calculated in the same manner as other forms of compensation. 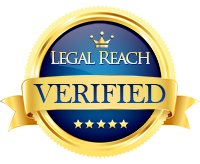 Enhanced damages are awarded to an injured party as a way to “punish” the negligent party. Forcing a large award to be paid is thought to make the negligent party more aware of their actions and to prevent them from happening again. Many states have enacted limits on what can be awarded for enhanced damages. Some states regulate the amount that can be awarded in any case, while others may have different limits based on the type of case. You will have to speak with your attorney to see what types of laws apply to your individual case. If any portion of the accident is your fault, the percentage of your fault will most likely be reflected in your compensation settlement. Each state also has a “cut off” percentage. In most cases, if you are 50 percent or more responsible for the accident, you may not be entitled to any compensation. There are a few states that have laws which state that if you are even found to be one percent responsible for the event, you cannot claim any type of compensation. Most states have an expectation that the injured party will do what is necessary to recover from their injury. 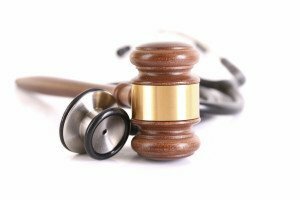 What this means is that the law expects a person who is injured to seek medical care and to follow medical treatment plans. Failure to do so is seen as making the injuries worse and will significantly reduce any compensation that the injured party may receive from the responsible party. When an accident occurs, it is only right that the responsible party covers all of the expenses associated with the event. However, most insurance companies feel they should pay as little as possible to the injured party because they need to protect their bottom line. Because of this, anyone who has been injured is encouraged to protect their rights and speak to a personal injury attorney about their case. At Manning & Zimmerman, a Manchester personal injury attorney will review your case and explain your rights as an injury victim and what types of compensation you are entitled to receive under New Hampshire law. Your attorney will also review the insurance policy that is covering the event and make sure that you are receiving all of the benefits guaranteed in the policy. Call a Manchester personal injury attorney at the Law Office of Manning & Zimmerman PLLC at (603) 624-7200 to schedule a free initial consultation about your case. Thank you for all your hard work and determination. You all were nothing short of powerful, intense and focused. We are proud to have had you on our team. Thank you! 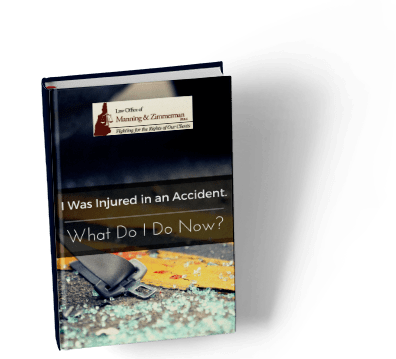 If you have been injured in a car crash, the NH personal injury attorneys at the Law Office of Manning & Zimmerman PLLC may be able to help you receive compensation. Car crashes are a common occurrence on the roads, but there are various ways to avoid being involved in one. To do so, it is important to understand the most common types of crashes and why they occur. When most people think of a car crash, they think of two vehicles traveling at high speeds on the road. In reality, parked cars are often involved in crashes that result in hundreds if not thousands of dollars in damages. One of the most common scenarios in which a parked car crash occurs is when you are backing out of a driveway without checking behind your vehicle. It is easy to miss a parked car in your blind spot, even if you are using a backup camera and your mirrors. To reduce your risk of hitting a parked car or having another driver collide with your parked vehicle, consider parking further away. Tight parking spots increase the risk of a crash, even if you do manage to park successfully. The driver next to you or behind you may have a harder time leaving the parking spot. Rear-end crashes occur when a vehicle hits the car in front of it. The National Highway Transportation Safety Administration reports that 29 percent of all crashes are rear-ended collisions. A study by the Administration found that rear-end collision drivers were distracted from the road by various activities. From looking at something off of the road, to talking or texting on the phone, it is best to minimize the risk of a rear-end collision by keeping your attention focused on the road. Standing water requires your tires to move water out of the way to stay in contact with the road. When water goes above the tread of your tires it becomes difficult for them to maintain traction on the road, which leads to hydroplaning. Hydroplaning occurs when the car accelerates to the point where the tires are unable to successfully move water away from the road and leaves a layer of water between them. Once this occurs, you are no longer in control of your vehicle. The car may go in a different direction regardless of your attempts to steer since your wheels are not working properly. If you try to brake suddenly while hydroplaning, your wheels will become like water skis, propelling your car forward at a faster rate. Hydroplaning is easier to avoid if you drive at a slower rate of speed, especially when it first starts to rain. Slowing your vehicle makes it possible for your tires to come into contact with the road again. Tires with worn treads are more likely to hydroplane since there is nowhere for the water to go. Steady pressure applied to the brakes can also help slow your vehicle to a safer speed until it regains traction. Animals are also a common cause of accidents on the road, particularly when it comes to rural areas. To avoid an animal collision, drive with your high beams on when traveling through a rural area at night. Following the posted speed limit in any area is important as it gives you more time to slow down if you encounter an obstacle on the road. The Insurance Institute for Highway Safety conducted a 2009 study, finding that 27 percent of deaths among passengers are caused by T-bone collisions. T-bone collisions occur when one vehicle collides with the side of another vehicle that has the right of way. These deadly collisions are often caused by drivers who are speeding or not attending to the flow of traffic at an intersection. To avoid being involved in a T-bone collision, look both ways for any oncoming vehicles, even if you have the right of way. You should always come to a full stop at red lights and stop signs to ensure that no distracted drivers are coming towards you. 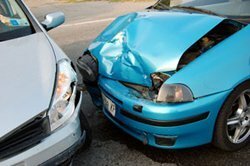 Side-impact collisions are generally more severe than other types of accidents because the side of a vehicle has less room for protective technology than the front or rear. Side collisions are also dangerous because the side of a vehicle has less room to absorb the impact of a crash while the rear and front of a vehicle are made to fold and absorb shock. Head-protecting side airbags can help reduce the risk of fatalities or serious injuries in a T-bone collision. Crash tests have found that these airbags are highly effective when it comes to protecting the head during an accident. The NH personal injury attorneys at the Law Office of Manning & Zimmerman PLLC may be able to assist you in seeking compensation if you are injured in a crash. Knowing these common causes of crashes can help you learn to avoid them. From buying safer vehicles to practicing the rules of the road and attending to traffic, there are a variety of ways to make yourself safer on the road. The most important method is to always be aware of your surroundings when driving. To speak with experienced NH personal injury attorneys, call the Law Office of Manning & Zimmerman PLLC at (603) 624-7200. However, it should be noted that these are not the only truck driver related issues that cause serious collisions. The Truck Safety Coalition provides an abundance of information on trucking accidents and is a good resource. If you or a loved one have been injured in a truck related collision, you will benefit from speaking with a Manchester truck accident lawyer at the Law Office of Manning and Zimmerman, PLLC. Schedule a free case evaluation and learn about your right to compensation for any injuries and losses sustained in a truck accident. 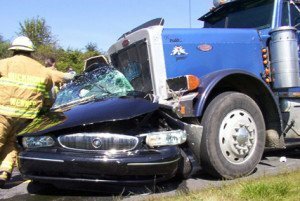 Call (603) 624-7200 and schedule an appointment with a Manchester truck accident lawyer today. If you have worked and contributed to the Social Security system but have become disabled and unable to work, contact the experienced attorneys at the Law Office of Manning & Zimmerman at (603) 239-2489, complete a request for a consultation on our website, or send us an email. If you have sustained an injury, you must seek appropriate medical treatment. A New Hampshire injury attorney at the Law Office of Manning & Zimmerman PLLC will explain how the various medical bills will be paid. Let your New Hampshire injury attorney know about any health insurance coverage you have through your employer, spouse, parents, or individual coverage. Your health insurance may be responsible for the medical bills that you may incur. If you were the driver in a car crash, your auto insurance may cover medical costs. If you were in a car crash when another person was driving, his or her insurance will likely be responsible for your medical bills. Your New Hampshire injury attorney will explain that workers’ compensation insurance will cover the cost of treatment for work injuries. Liability insurance carried by the party who caused your injuries will pay your medical bills at the time of settlement if the injury occurred on that party’s property. If there is no insurance option available to you, your New Hampshire injury attorney will discuss what other sources may be used to pay your medical bills. Unfortunately, this may mean that you have to pay the medical bills out of pocket yourself. Usually, if you are unable to stay current with payments, your New Hampshire injury attorney can negotiate with your medical providers so that you are not accountable for payment until your case has been settled. Proper treatment is essential for any injuries that you have sustained. To speak with a New Hampshire injury attorney about any billing concerns you may have, call the Law Office of Manning & Zimmerman PLLC at (603) 624-7200 or send an email to info@manningzimmermanlaw.com. The movie Concussion opens with the story of “Iron Mike” Webster. Fifteen years as a center in the NFL for the Pittsburgh Steelers had earned him stardom and four Super Bowl rings, but also a host of behavioral and memory problems in his later years. Pittsburgh’s hometown hero gave away or lost all of his money, would often slip into a catatonic state, and eventually became homeless, living out the last years of his life in his truck. After Webster died at the age of 50 from a heart attack, a young Nigerian forensic pathologist named Bennet Omalu (played by Will Smith) performed the autopsy for the county coroner’s office. Omalu had heard the stories about how Webster had essentially gone crazy in his later years and wanted to know why. After months of studying Webster’s brain, he discovered signs of a new disease marked by severe brain damage. He named it chronic traumatic encephalopathy (CTE) and published a paper that linked the new disease to the repeated concussions suffered by Webster while playing football. While the NFL rejected Omalu’s report that Webster and other NFL players suffered CTE as a result of playing football, the genie was out of the bottle, so to speak. 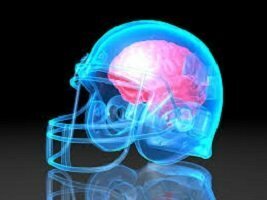 Several subsequent studies of NFL veterans and other athletes vindicated Omalu’s research and ignited a firestorm of concern and discussion about sports-related concussions. Eventually we would learn that even mild traumatic brain injuries can more than double the risk of early-onset dementia. 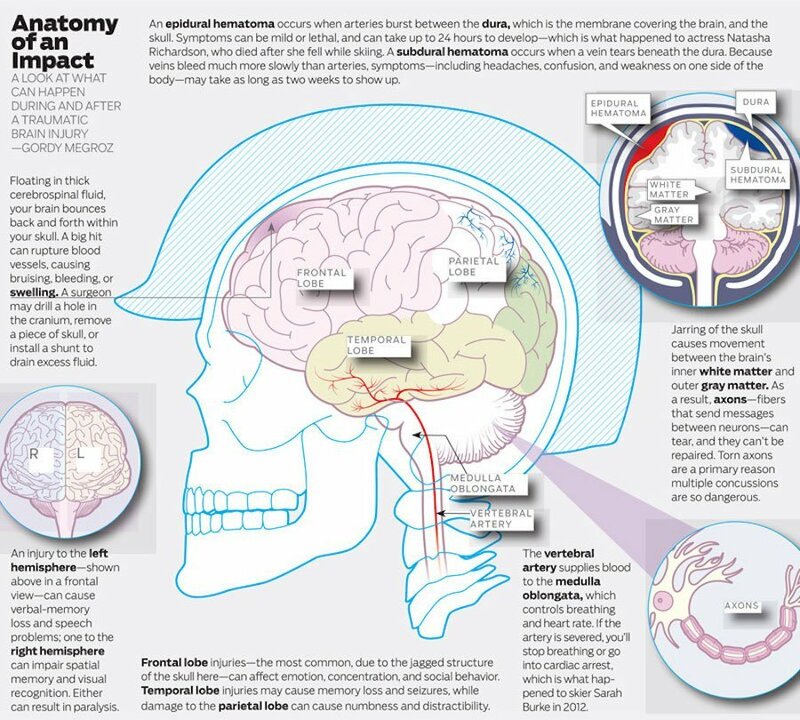 Anatomy of an impact. Click image to expand. For years, the NFL ignored extensive medical evidence until finally acknowledging in 2009 that repeated head injures can cause brain damage. Litigation has played an important role in forcing the NFL (and other organizations) to address this growing crisis and change head injury protocol, as documented in this extensive report from the American Association for Justice. Attorneys and Dr. Bennet Omalu joined forces with the family of Mike Webster and other past NFL players to sue the NFL for disregarding medical research and not doing more to prevent TBIs. During this lawsuit, it was revealed that the NFL ignored its own actuarial research showing an estimated one-third of its former players would suffer from brain damage caused by traumatic brain injuries. The NFL eventually settled for $765 million, causing a ripple effect throughout the sports world. Many professional, college and high school sports programs have changed concussion protocols and rules of play as a result, and insurance companies have followed suit by requiring stricter adherence to proper procedures for traumatic brain injuries care. The NFL even started its own brain bank to study the brains of former players with the hopes of creating new measures that will combat the possibility of brain damage or CTE. NFL data released ahead of Super Bowl 50 showed that concussions were down 25% this season, mostly due to changes in technique by the players. In 2006, high schooler Zackery Lystedt went back out on the football field after suffering a concussion earlier in the game. After being struck in the head again, Zackery collapsed with what proved to be a debilitating brain injury. In 2009, his home state of Washington passed the Lystedt Law. This legislation requires annual mandatory training for athletes, parents and coaches. It also requires the immediate removal from sporting events and practices of any athlete suspected of having suffered a concussion until cleared for return by a medical professional. Since Washington took action, every state except Wyoming has enacted a “When in Doubt, Sit Them Out” law. Compliance to these guidelines has increased from 50% in 2007 to 80% in 2013. Football is the lead cause of head injuries for high schoolers. Click image to expand. That’s the good news. The bad news is that very few states have enforcement mechanisms to make sure these laws are being followed, and only six states require parental notification of a child’s traumatic brain injuries. So for parents, athletes and coaches, vigilance is still the first line of defense. 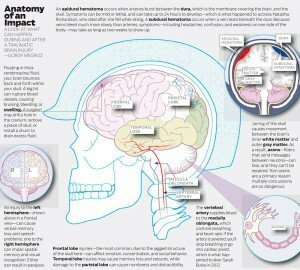 Know the signs and protocol for dealing with traumatic brain injuries (review here) and don’t delay seeking medical attention. 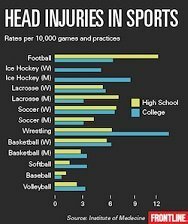 Note that many other contact sports cause head injuries, as outlined in the chart above, not just football. Automobile crashes and other blunt trauma to the head account for many times more. The brain is an amazing organ. It is both durable and fragile at the same time. It contains the keys to our functioning, our personality and our identity. Guard yours well, and those of your children. o List and describe your injuries. o How much healing or improvement has occurred? o In what health care facilities? When and for how long? o What treatments, for what injuries? o Medical bills received? Paid? By whom? o How are you feeling now? o What physical problems are still continuing? o How is this affecting you in your work? o How is this affecting your life outside of work (with your family / with your friends / with your other activities)? o How is this affecting your finances? o After your injury, have you filed (or are you considering filing) for bankruptcy protection? o Are you currently under a doctor’s care? o What medications or treatment are you still receiving? o What has your doctor said about what to expect regarding duration of symptoms / duration of medications or treatment / future surgeries / possible problems in the future? o Have you obtained any information about insurance? o Have you been contacted by / talked to an insurance adjuster? o What do you know about (the potential defendant’s) financial condition? Law Office of Manning & Zimmerman PLLC, All rights reserved.